✮✭XxFreeSpiritxX's Animal Jam Freedom✭✮: The New item (No Surprise) and a Videooo! The New item (No Surprise) and a Videooo! Ello, Jammers of all animals! FS XxFreeSpiritxX Here. Of course, a new item came out today. 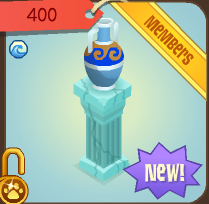 It was the Pillar with Vase in Sunken Treasures. Now all who actually have underwater dens, you better think of some crazy way to use these because they look actually quite pointless, sorry to say. Please leave you interesting and creative answers here. 2. If you don't like the blog, don't make me feel bad about it. 3. You are allowed to advertise your blog, as long as its stated in a nice way and not ONLY advertising it. Who should be our next Jammer of the week? On a scale of 1-10 (one being not fair, 10 being fair) Rate AJ on how fair it is to non members. What is your favorite area in Jamaa? Hey! Im XxFreeSpiritxX and I love Zios Sculptures, Cherry trees and Top hats. Welcome to my blog! I encourage you to explore. I Have played Animal Jam since Ocotber 2011 and I love collecting my favorite items.My list is quite full, so please add XxFreeSpiritxX2! Mail glitches and New items. My Rather Strong Opinions about this New Update.. THERE IS A NEW ITEM and Clearance Comparisons..
WOW! An Actually Cool item for Rare Monday! WHOA! What is going on? And yeah, New item..
Dog Sled and a new Videooo! Bonnets! Strange Den Glitch, too. Army Helmets and Poseidon Statue! Do you know what a shaman is? 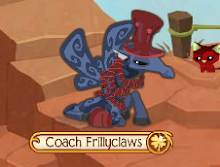 Copyright Animal Jam Freedom. Theme images by konradlew. Powered by Blogger.